Wish these rolling times would take a rest. B.B. King does it well. Clint Eastwood began it all here. What can these two classics (Okay, Rawhide is a classic from the 60s B/W TV days) possibly have in common? Complex migraine syndrome, Concussive syndrome and now Bell's Palsy syndrome. Let the good times roll. The crack of the whip and the burn of a brand join a wandering brain. What do think? Earth moves? Sky tumbling? I so understand this, so very well. Listen to these two versions, separated by three decades. Which do you prefer? 1971 Really? 36 years ago?! This is pretty much my world, except the great love stuff in the middle. You wanta password? Code? In your face. Oh yeah? I'll give you a password. Today was a “sign on to Microsoft” day. 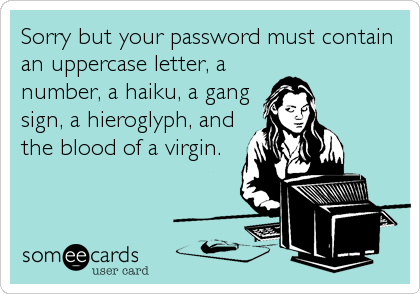 Since I have not put these on a flash drive, but have diligently kept them in an address book, typing in passwords are not usually a problem. Encountered a red error note telling me that this was the wrong password, needed to reset. MSoft sent me a code by email, a line of seven numbers. I copied and pasted them into the password box, pushed enter. THEN I was told THIS was an ERROR! Got another seven numbers, pasted them in, moved onto the next step to create a new password: bunny1foo9foo. MSoft wanted me to type my old password. ???What??? If I knew the damn password, I would not be resetting a new one. Why? MSoft asked. Because I had forgotten the old password, you blinking idiot program. Back to getting code. Back to pasting the code. Back to making a new password, a deceased relative’s name. Back to saving. Then, then, trying to get into my account. MSoft didn’t ACCEPT this new password. Suggested a code. Wanted to send me a new code. I pushed cancel. Either MSoft is playing me or God is having a bit of a giggle. The only swear word used here is "damn" which is pretty much my only cursing. But today, man, big words were floating around my wandering brain. Does anyone ever really understand snow? Watching the Weather channel is always a shocker. My Mid-west family are having temperatures in the high-50s, for now. My Swiss family (which includes a new baby boy) have zoomed from -2 all the way up to 28 deg. Our five-year drought has been ended with days and days of rain, with feet and feet of snow in mountains surrounding us. My oldest daughter spent a week in Switzerland helping with care of little man Jamie and 4.5 year-old Benjamin. She did not expect the slam-in-your face snow. Eskimos have bunches of names for snow. Mid-westerners have their own descriptions of snow, some of them unrepeatable. But Switzerland snow? Snowflakes on the cuff of my jacket. I've never been anywhere they didn't melt as soon as they made contact. Flakes are the size of 1/4 grain of rice. Back in sunny California and it's hailing. One impression left from Switzerland was the silence. The snow muffled everything. Right now the house feels like it's being attacked by the storm and the noise is deafening. Good to have her home. During my brain wanders, I have been thinking about my next post on “Susan Kane, Writer”. Sounds highfalutin (means pompous, pretentious) doesn’t it. 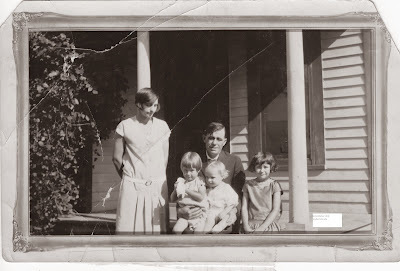 Anyway, this blog is about my parents’ parents: Lewis and Marie (Shive) Cardiff, and Theodorus and Amy (Nichols) Peck. The posts are non-chronological, because that is how my memories occur. With effects/results of a concussion still rambling around, can’t really write the way I like to write. 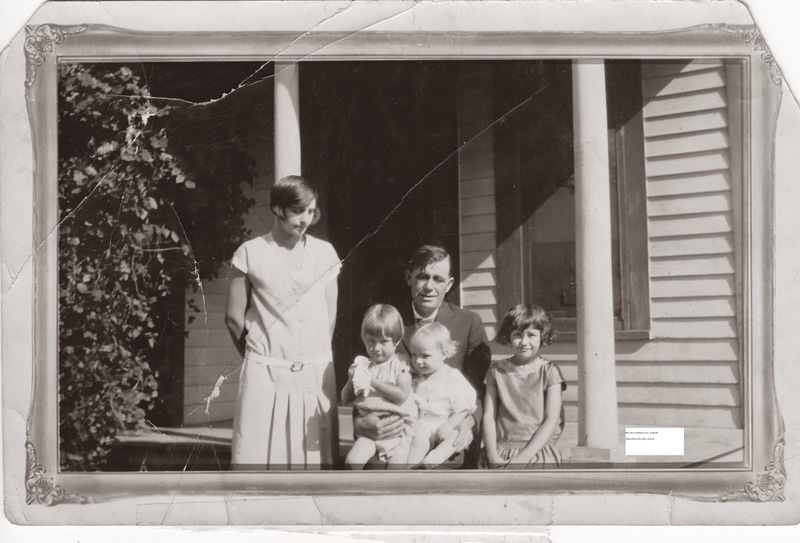 But I can shuffle through photos and other hard copy for information on people further back the family line. Who people are come from those people who were. Old barn at the top of the first rise. Oh, I wanted to break in so badly. We caught our breath at this stop. Since my brain is still dancing about, this post will be about life’s fine moments. We visited our daughter (in Switzerland) in 2014; had a grand time, played with our grandson, and enjoyed beautiful scenery. We stayed at an Airbnb apartment just outside the city in KÖniz. Getting there required two train changes and one bus. The last train dropped us off at bottom of a fairly short but steep rise. My husband once counted the steps. It led to a farm where our journey evened out. Greatest stop ever. This farm girl reveled in fields of wheat, orchards of apples, and dairy cows. The next portion of our walk was up an even steeper hill. Okay, the above is fairly lucid but the typos were many. Hope I got them all. In our 2+ week stay, I formed a relationship with one of the milk cows. Morning and night she was in line for the milking machine. We exchanged in-depth eye contact. Although her ear tag is missing in this photo, it was #73. As the room moves when I do, my brain is left behind. I know I want to write something thoughtful and meaningful, but those words are out dancing. Sitting here in my husband’s new office, I am surrounded by his books. They are for the most part lined up in a topical way. But this row? As a post requiring thought, this one is simply looking in the mind and at the book shelves of my beloved. What have you learned about him? When it comes to Christmas, nothing is relaxing or quiet. Between decorating and setting a celebratory meal on the table, noise and activity abounds. Right? 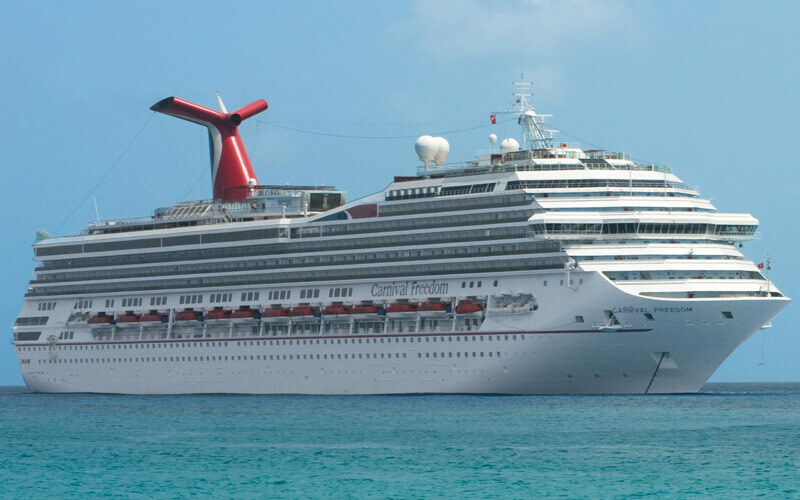 My husband, his siblings, and their families (including us out-laws) took a cruise Dec. 24 through Dec. 31. Mom had died February 5th, and this was our first Christmas without her. This cruise was in her honor and memory. Lots of activity, lots of fun—it was a bonding time. On December 25th, while walking down some stairs, I tripped and flew forward on the last three steps. Apparently, there was a resounding crackkthudd heard by people close by and my lights went out. For three black silent minutes, spots flew around with vague voices asking me questions. My doctor in Murrieta ran CT Scans, and firmly told me to take two weeks of relative inactivity which I have found very much needed. That all said, I’ll be silent in blog time, will try to post when I can. See you in two weeks. The recipe below I copied from Carnival chocolate melting cake . Unfortunately, when copying and pasting direct, the whole thing is in a white highlight, but still readable. 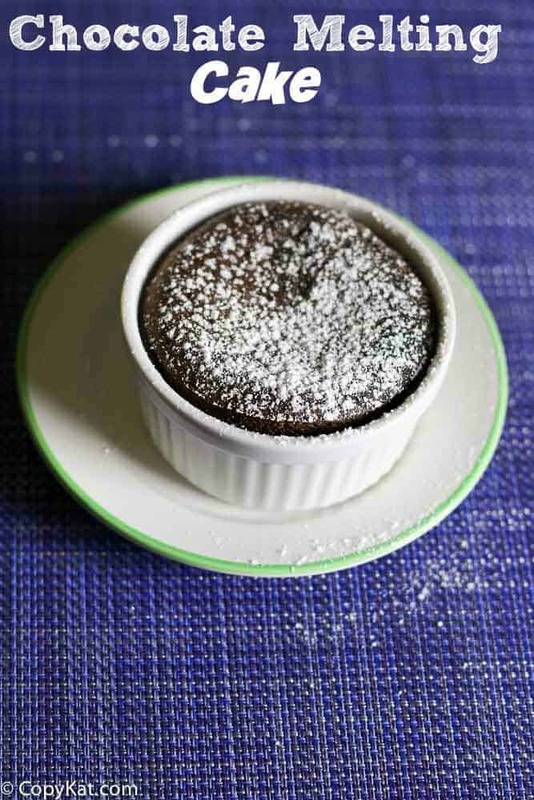 Prepare this chocolate melting cake, it tastes like the Carnival Cruise version. In a small bowl melt together chocolate and butter in the microwave. Melt for 30 seconds and stir, and repeat until chocolate and butter are melted. Whisk together eggs and sugar until they are lighter in color and foamy. Add melted chocolate to egg mixture. Stir in vanilla extract, salt, and flour. Spread butter in ramekins to grease the dishes. Pour batter into dishes. Cover dishes with plastic and refrigerate for about 30 minutes, you can refrigerate these for up to 4 hours. Bake at 350 degrees for approximately 12 to 15 minutes. The tops will be firm, but the insides will be melting. Dust with powdered sugar, and serve with a scoop of ice cream if desired.